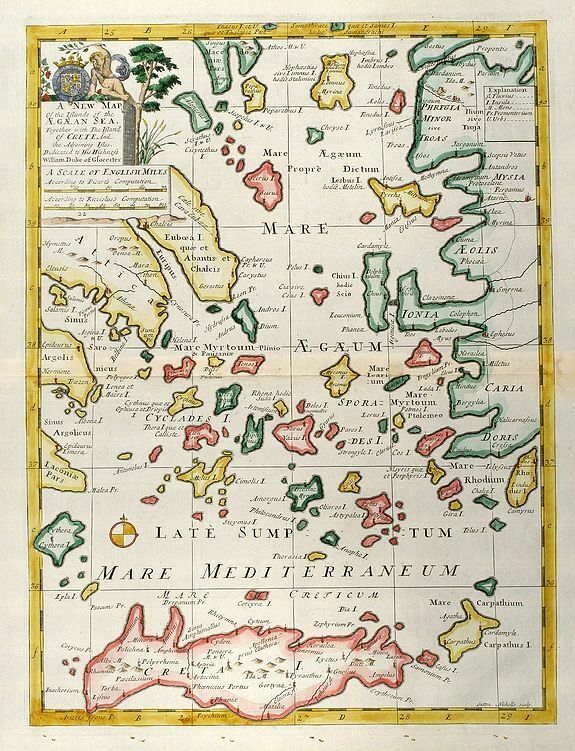 A New Map of the Islands of the Aegaean Sea, together with the Island of Crete, and the Adjoining Isles - WELLS, E.
Title : A New Map of the Islands of the Aegaean Sea, together with the Island of Crete, and the Adjoining Isles. Size : 19.3 x 14.4 inches. / 49.0 x 36.7 cm. Description :Decorative coloured map of the Aegean Sea with Crete and the western part of Turkey. Condition : Several small holes in lower margin. Manuscript page number by old hand in upper left margin. Excellent condition.